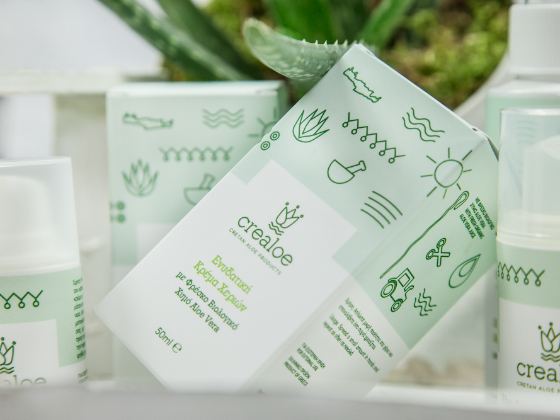 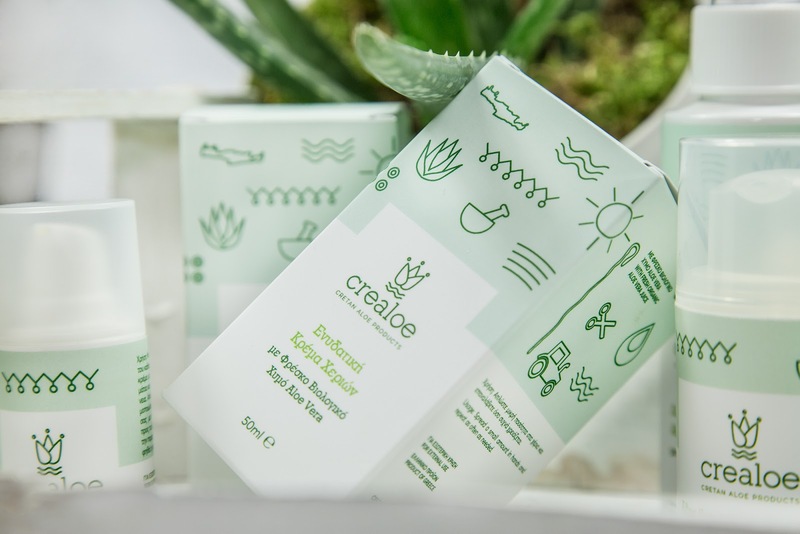 Packaging design of beauty product series with Cretan aloe vera for Crealoe company. 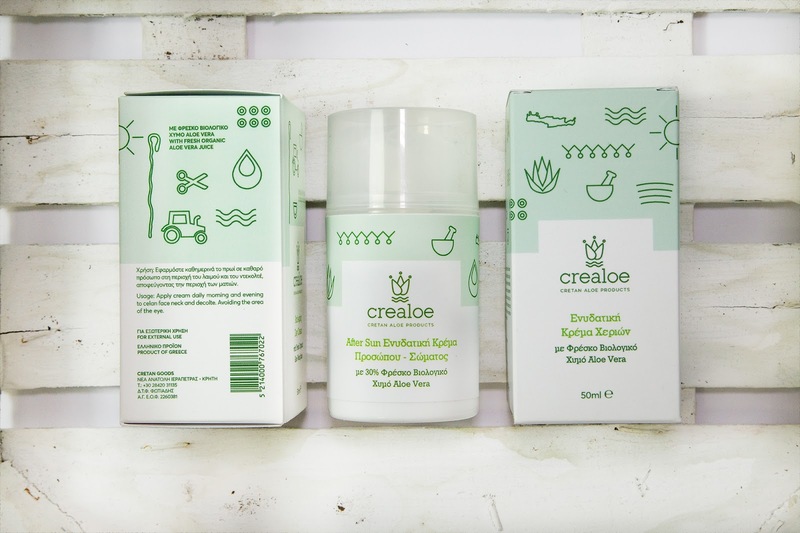 The design was based on the idea that the product can tell its story through pictogram. 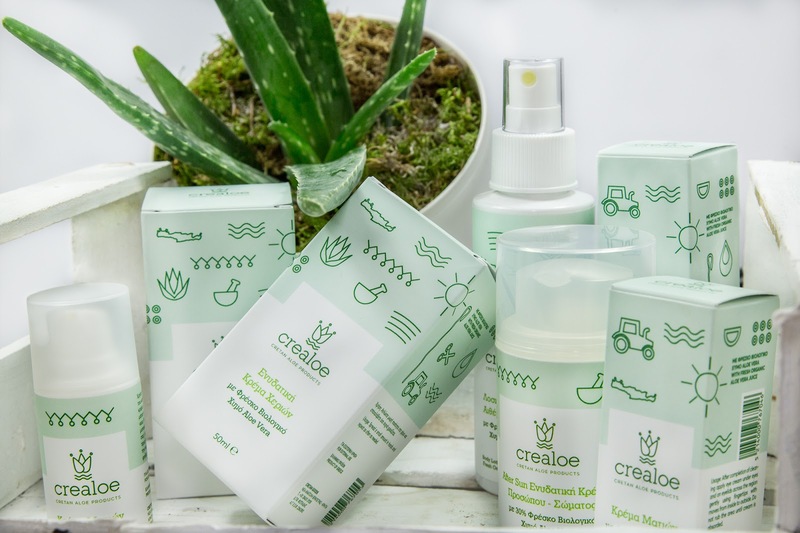 The field, the tractor, the structured image of plants, the aloe section, the crook, the cretan scarf, the sun of Crete, the sea, the liquid form of aloe, all these are the elements that describe Crealoe morally and materiallyk. 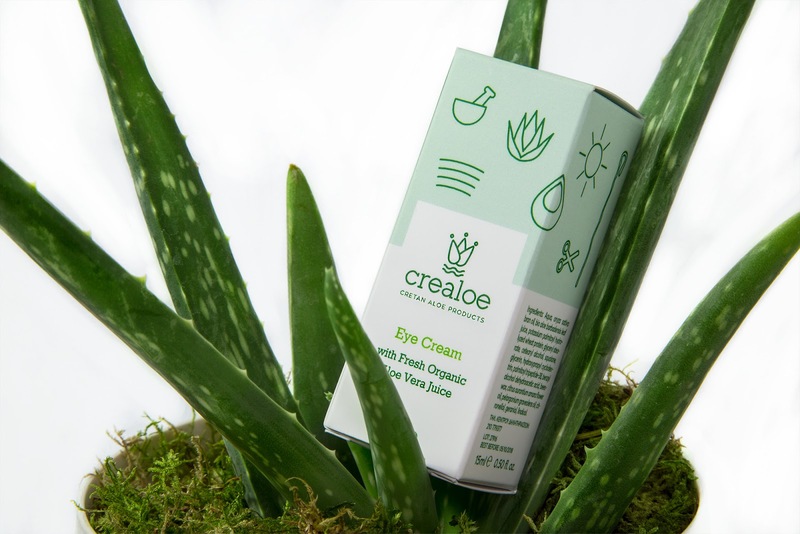 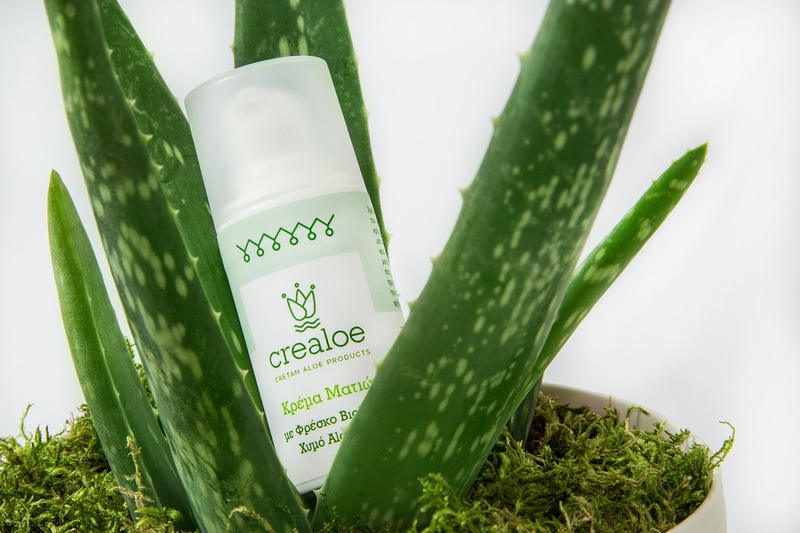 The word Crealoe came from the words “Cre”(Cres: the first king of Crete where it got its name) and “aloe” from the Aloe Vera plant which is the basic material of the company’s products. 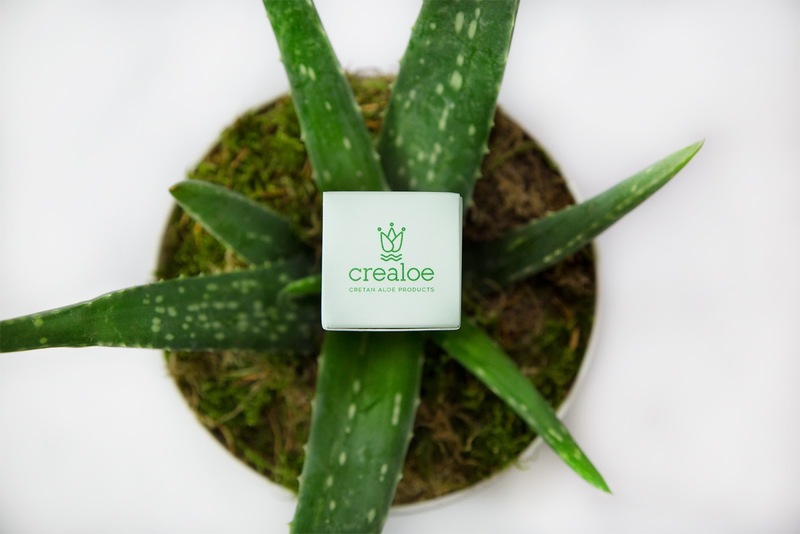 The logo resulted from the union of these elements by creating a symbol that has a story to tell.